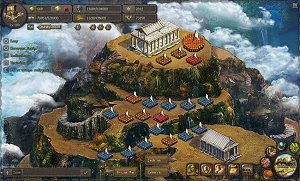 Batheo is a browser strategy MMO game that at first seems similar to games such as Grepolis and Evony, but it has some features that help it stand out. Set in the exciting period of ancient Greece, it tasks the player with the management and development of a city that starts small but will grow bigger than any other. The huge world map will take quite some time to fully discover, and the enemies – both AI and human controlled – will offer some valiant resistance. Train your heroes carefully and equip them before heading into battle, and even join other players to overcome the most difficult battles. Batheo is worth a look for fans of strategy mixed with RPG elements.